Donate now to provide science to a local classroom! You have probably seen all the signs of back-to-school season lately: store shelves stocked with spiral notebooks, school buses on the roads, and backpack-laden students walking to or from school. Here at the Asombro Institute for Science Education, we love this time of year. We get to go back into classrooms and bring students the wonder of our hands-on, minds-on science education programs. Even though our fees for programs are very low, deserving students at some schools are missing out because their schools are unable to come up with the funds for these enriching opportunities. In order to help all students get access to these award-winning programs, we created the Science Sponsors Program. We are asking for your support. Will you support Asombro's delivery of award-winning lessons to these eager students by becoming a Science Sponsor this year? you know that you have helped bring the wonder of science to local children. Unlike donations to other organizations, you won't have to wonder how your donation is being used. Your gift goes directly to providing education programs in classrooms.You'll see the tangible results of your generous gift that makes a huge impact on students' learning and excitement. 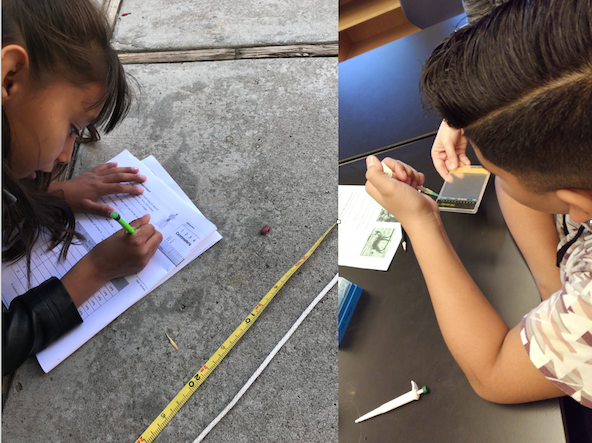 As schools in New Mexico use new science education standards this year, it's even more important than ever to bring Asombro's programs, which are aligned with the new standards, into local classrooms. Please help us achieve this goal by becoming a Science Sponsor today. On behalf of the children you will support, we thank you!